Covering topics such as teen suicide, holistic treatment, and the crossover between juvenile justice and mental health. Mental health conditions are common among teens and young adults. 1 in 5 live with a mental health condition—half develop the condition by age 14 and three quarters by age 24. It can be difficult at times to differentiate between normal childhood behaviors and that of underlying mental illnesses. However, if issues begin to interfere with daily activities, it is important to pay close attention and talk to a professional. By catching symptoms of a mental health disorder early on, a child or teen has a much better chance at being treated effectively. Rather than treatment as usual, with all of its various drawbacks and complications, a different type of effective, evidence-based mental health intervention has gained traction: holistic mental health treatment. Holistic treatment means “taking into account mental and social factors, rather than just the symptoms of the disease”— so holistic mental health isn’t merely an attempt to alleviate the fatigue, anger, and anxiety that often come along with mental and emotional struggles, but to address the roots of the disorders themselves. This type of intervention involves treating the whole person and their ecosystem— that includes looking not only at the individual but at the effects of family, school, peers, and community on the life of a young person. Holistic therapy postulates that the way these systems connect can be the key to creating an effective, individualized treatment plan. Nearly two million juveniles are arrested within the United States each and every year. Of those two million an estimated sixty-five to seventy percent of them are diagnosed with a mental health disorder. While severe psychotic disorders such as schizophrenia are rare among incarcerated youth, one quarter suffer from some form of mental illness severe enough to hinder their ability to deal with the everyday pressures of adolescent life. Furthermore, a full two-thirds of the juveniles in detention affected by mental health issues have been diagnosed with more than one disorder. 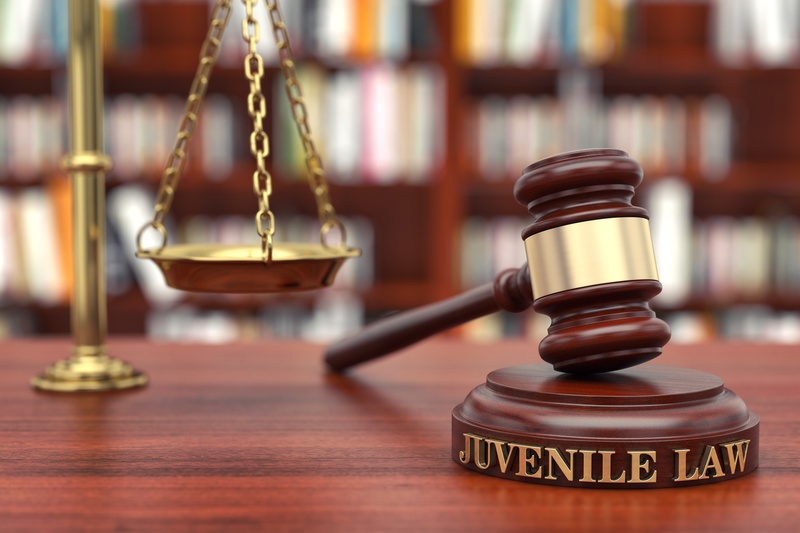 One of the most prevalent disorders within the juvenile systems is substance abuse. A random sampling of nine sites carried out by the Department of Justice showed that of all male juveniles arrested and taken to these sites, half of them tested positive for at least one drug. Other commonly seen mental illnesses are anxiety, depression, and post-traumatic stress disorders. 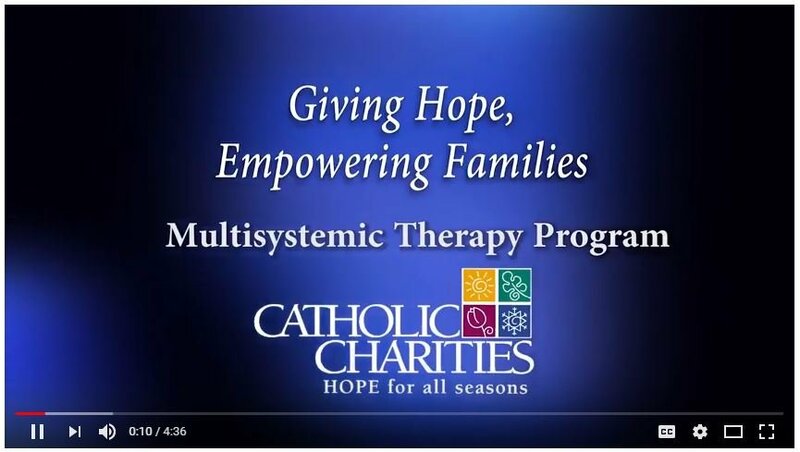 Watch this video to see one family and therapist with Catholic Charities share their experience with MST's youth mental health program. Listen to this heartwarming story of success, hope, and encouragement and how MST helped this family to rebuild hope within their home and support Rachael in finding her own success. MST is an evidence-based, proven juvenile therapy. 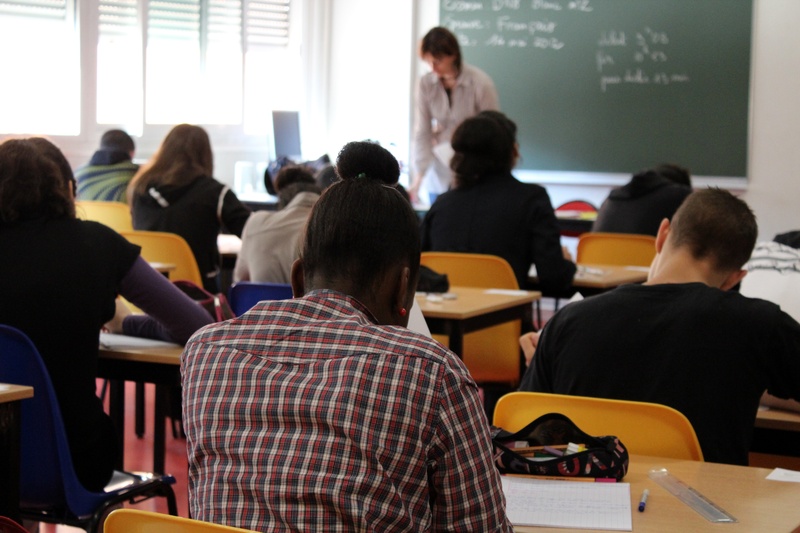 The American College Health Association reports that medically diagnosed mental health problems have a greater impact on academic performance than any other non-academic factor, including physical pain. Mental health issues may hinder students from attending class, forming meaningful relationships and studying effectively. This can lead to higher rates of drop out; in fact, a study from the University of Michigan found that university students suffering from depression were over twice as likely as their peers to drop out of school. But college students aren’t the only young people affected by mental health issues. Beginning as early as the elementary level, children diagnosed with mental, emotional or behavioral disorders often face chronic absences, lower academic achievement and higher rates of suspension and expulsion. Almost 1 in 5 high school students have considered committing suicide, and youth with mental health issues are more likely to become involved with the juvenile justice system and develop a substance abuse disorder. In many ways, schools offer an ideal context for treating mental illness: they are trusted by families, have consistent contact with students and are accessible for all populations. Yet oftentimes, schools don’t have the proper resources and staffing to provide comprehensive mental healthcare for all students. Assess whether your community needs an MST program. Determine what funding is available. Set up sustainable funding that will be in place for years. 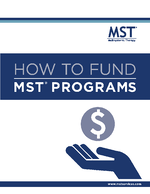 Download the white paper "How to Fund MST Programs" to learn more about these considerations and other methods for funding MST in your community. Interested in starting an MST program in your area?